According to the Points of Agreement for the East Harlem Rezoning, four public sites are planned for redevelopment by the city. 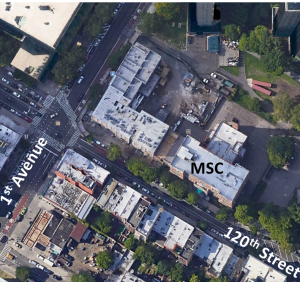 This presentation to Community Board 11 in Manhattan about the East Harlem Multi-Service Center is a part of a series for the Board’s East Harlem Public Sites project. Reviewing different scenarios for the proposed Multi-Service Center site, the results of CB discussion in June 2018 will facilitate input to the city before the RFP is issued.